I’ve thought about creating a fire pit on the Red Dog Estate. I received a quote of $200 to grind the Plum tree stump in the back fourty. I looked at renting a stump grinder but with my back injury that did not seem wise. Yesterday as part of my yard work, I used my chain saw to further cut up the stump. I located some white gas in the Red Dog Garage and soaked the chips and saw dust. 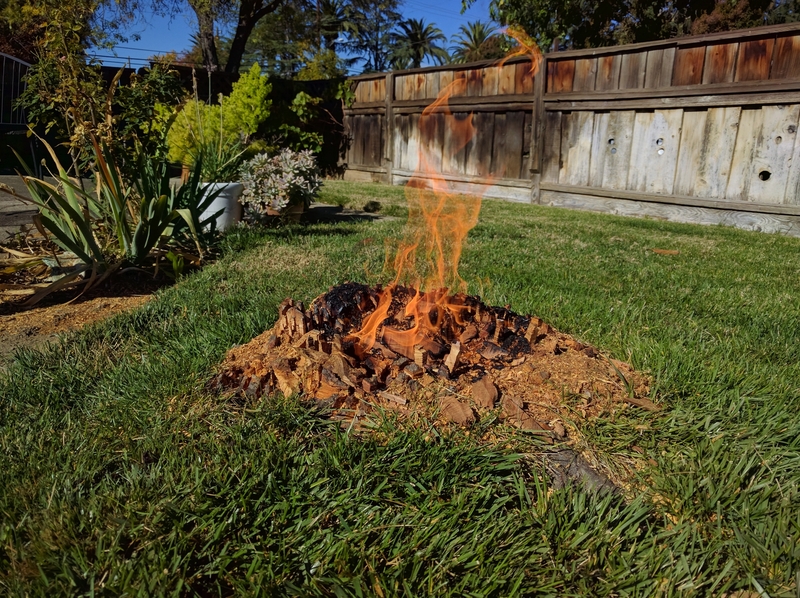 With a light from the Mapp Gas torch I used to replumb my house, instant backyard campfire. Maggie was not to keen on the idea of fire in the pasture.